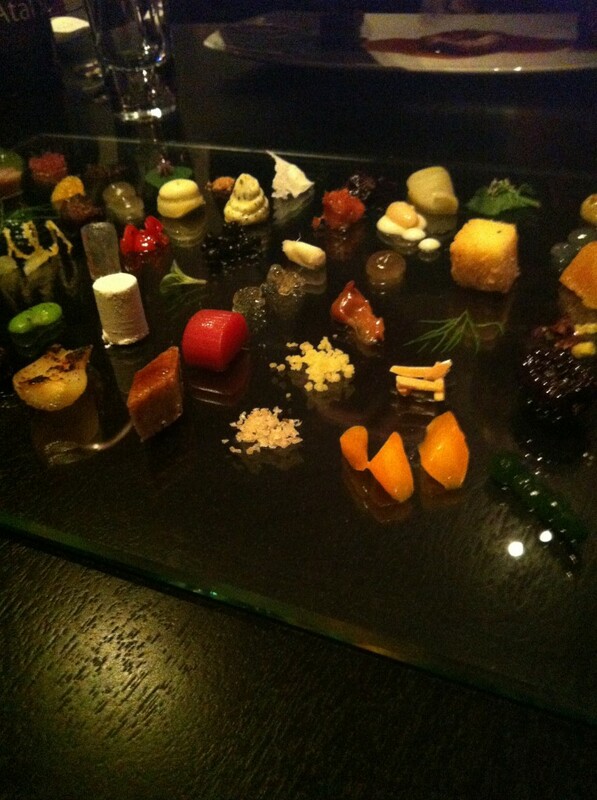 When we went to Alinea Restaurant for dinner, one of the mind-bending showstoppers was their lamb course. Perfectly prepared sous vide lamb three ways with a rich jus. But that wasn’t all — accompanying the lamb was a glass platter with SIXTY garnishes, 86 individual components in all, none repeated! Plenty for the four of us to share. Questions like “How long did it take to plate this?” and “The horror, the horror, of prep involved?” immediately came to mind. Alinea released a video by Christian Seel, which shows some of the intense work that goes into this main course. Since no printed key was given to us after the meal, here is my attempt at a “legend” to the garnishes. If you see errors, or want to add to this, pop me an email! Now the real question is, should I try recreating this at home? 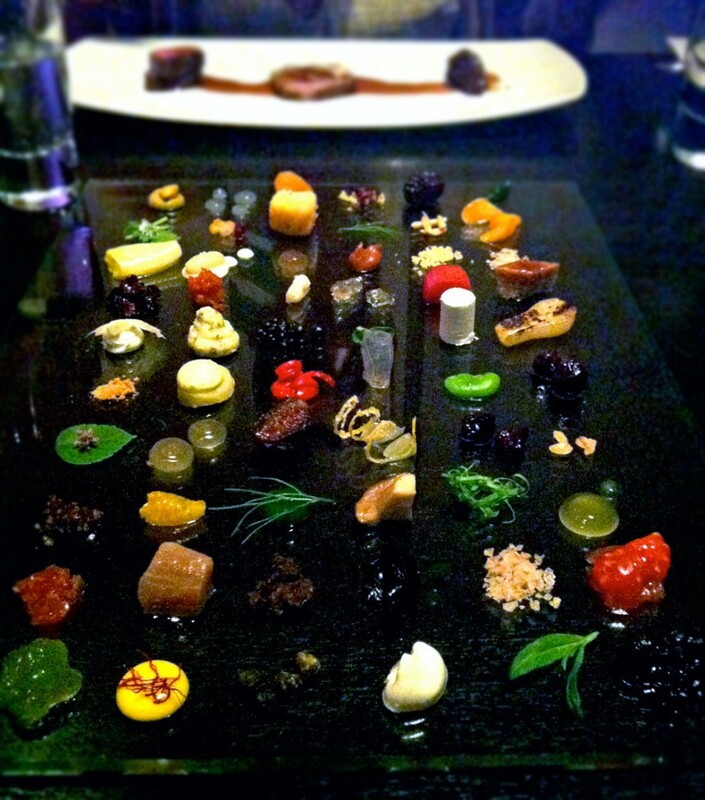 This entry was posted in News, Recipes, Spring and tagged Alinea Lamb, Lamb 86. Bookmark the permalink. Date should be oats. I need to practice my penmanship! You should definitely make this at home.